Brain chemistry plays a critical role in our perceptual experience. The more we exist in a state of inner harmony, the more balanced our production of dopamine, oxytocin and other feel good chemicals will be. 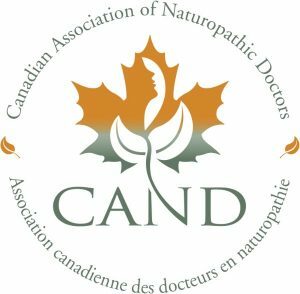 Naturopathic doctors are in a prime position to help harness the power of perceptual influences on wellness. Ultimately when the naturopathic doctors at Head to Heal Family Wellness are working with our patients, our goal is to encourage our patients to move into a loving and honouring relationship with themselves and we support them in their commitment to self care. It has been shown that even two minutes of active relaxation practiced for 21 days can rewire the brain. Some patients get anxious about the idea of meditation but it can be as simple as being in a quiet space and just breathing deeply. As individuals we can choose to direct ourselves into a place of calm multiple times a day by connecting with and being present to our bodies with a focus on trust, self-love and self-compassion. We can choose to disconnect from thoughts that do not serve us well. Love for self is paramount, and inevitably the more we can tap into this the more vibrant our state of wellness. The more we increase life force energy and remove obstacles to flow, the more we embody the expression of self love. And while sometimes, even though we have worked so very hard in removing all obstacles on our path to well being, and despite our best efforts, sometimes our desired outcomes are not immediately manifested, we must remember that self love is never wasted. Pulling ourselves up to a higher vitality is worth all the attention and effort to find that joy and peace in our being.